Click here to view a list of Sandbox's Historical Supporters. Through these meaningful partnerships, corporate Canada is actively involved in making our country a better, healthier place for our kids to grow up. The 2015 Pan Am Parapan Am Sandbox in Toronto, donated and built by LiUNA Local 183. 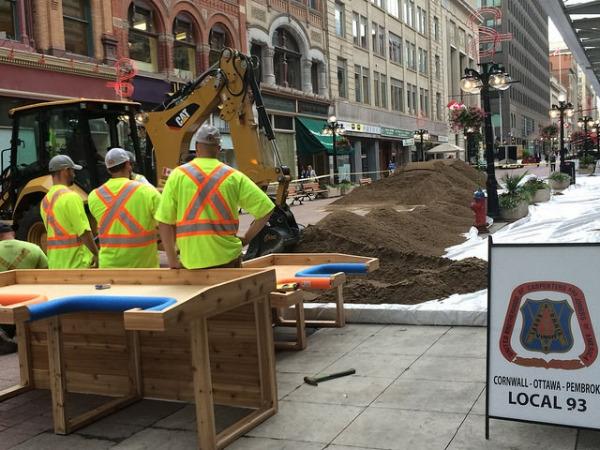 The World's Largest Sandbox: Built and donated by UBC Local 93. Sand donated by Karson Aggregates. Raised accessible sandbox donated by the Smilezone Foundation. 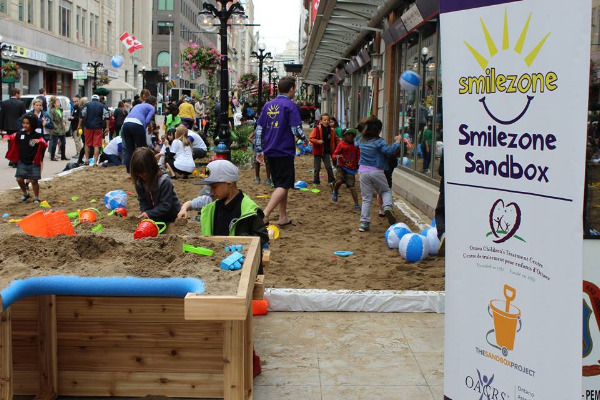 The Smilezone Sandbox, a raised, wheelchair accessible sandbox.